Can we make food out of thin air? Soil is full of microbes. These tiny organisms eat and break down other organisms. They also recycle nutrients. But in desolate places on earth, or even in space, what is there to eat? Dr. Belinda Ferrari led an Australian-based project to explore the wilds of Antarctica. Even in its barren soils, they found rich diversity of microbes. But with so many different bacteria, how can you tell which one eats what? The answer: genetics! Ferrari and her group found which metabolic genes the microbes were expressing. Essentially, these tracked how the microbes make energy from what they eat. Surprising result? All they need is air! 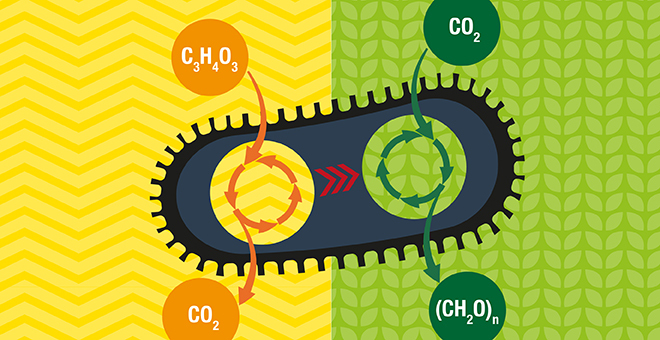 Many microbes get enough energy simply out of airborne gases. Like hydrogen, carbon monoxide and carbon dioxide. These gases are waste-products and even toxic to people. But they set the table for a microbe smorgasbord! This completely changes our ideas of what life needs to flourish on our planet, or beyond! Look out Marvin, life may be stirring in the soil on Mars! Friendly life. We hope!